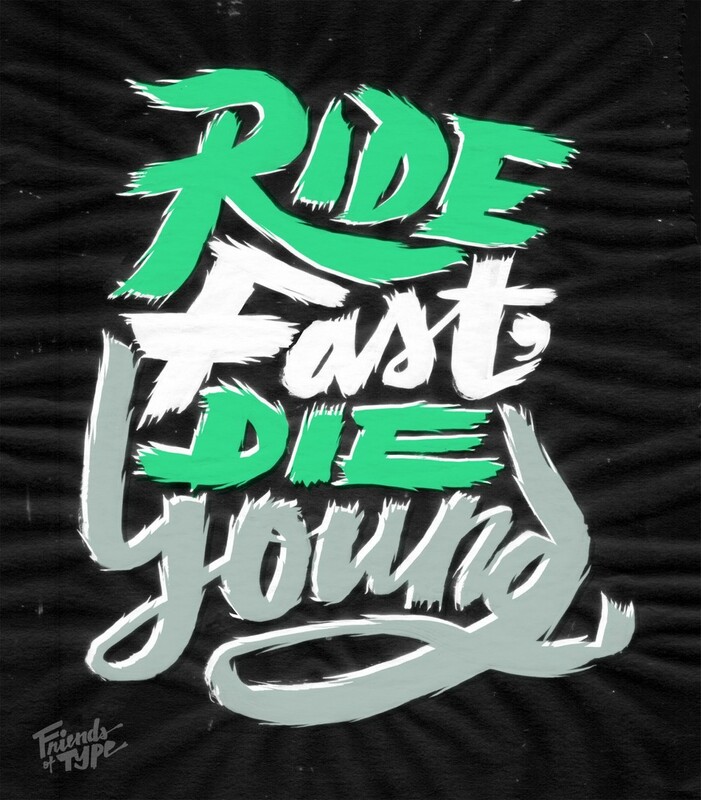 Jon Contino is a recent favorite and inspiration to me in my work and creative endeavors. 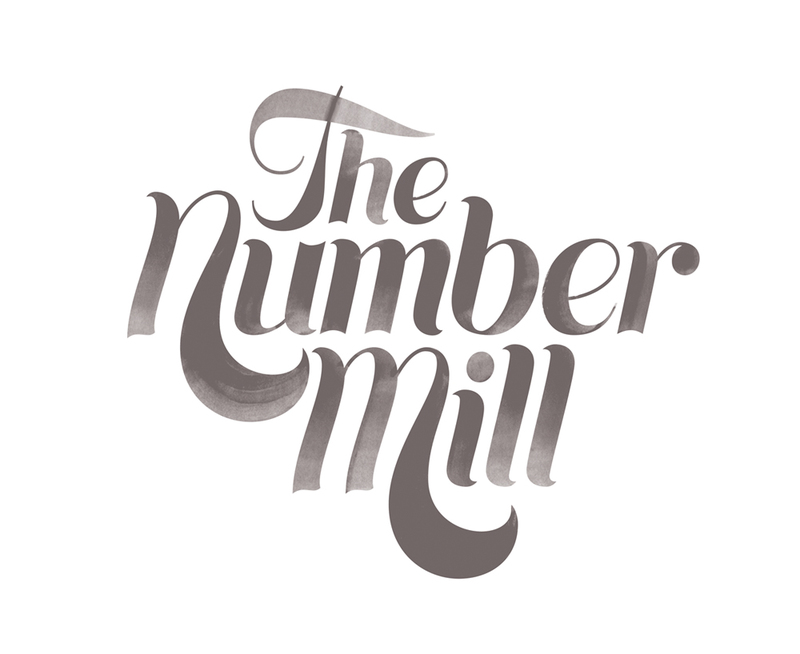 He is a Brooklyn based designer/letterer who has a well-established style of his own. His hand-drawn type is as unique as it is diverse and has a clear voice that resounds with themes of unity, patriotism, and a strong work ethic. In addition to the relentless grind of competing for work in New York, Jon has found the time and energy to startup a really nice clothing brand for men. Also, I was browsing around on his online portfolio, and found that he has a blog where he features a lot of newer work, his processes, and questions to answers that various people email him. I think this is great — that he has the humility to answer questions in support of the bigger design community. I always admire people who take the time to do this and find ways to make themselves accessible in the midst of a successful career. Check out the full collection of his work here. Dana Tanamachi is the next Letterer/Design that I would like to spotlight. Many people (especially in the design world) are starting to become more familiar with her work because of how unique her medium is. 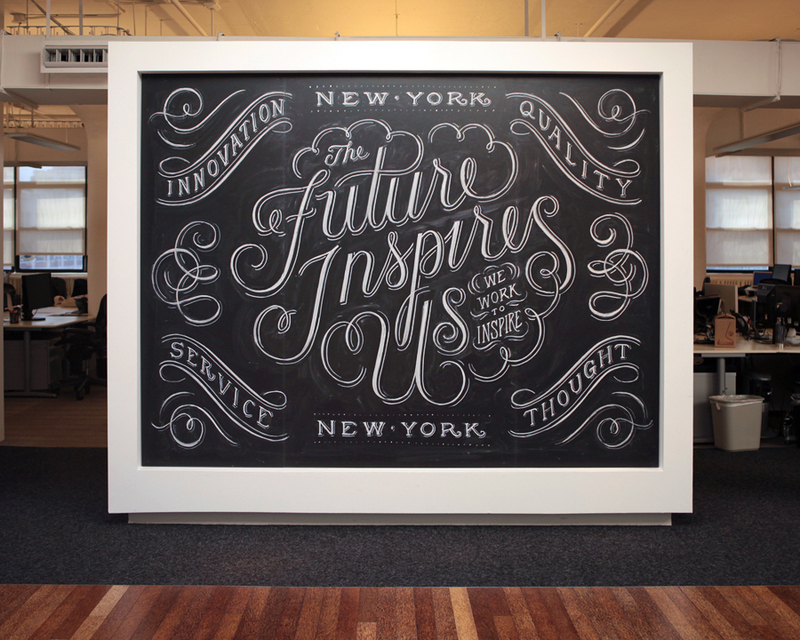 Dana carefully creates large type-based chalk murals that are elegant and beautiful. Her process is actually pretty simple, and has less forethought than I would have imagined. She starts with a really basic sketch and then works out the details as she is creating the final piece, adding chalk and erasing with a wet rag. Either way, her control of the medium and ability and balance ornate scripts with bold serifed type is impressive and worthy of accolades. It is no wonder that she interned at Louise Fili Ltd. I think there is also something really fascinating about the fragile and temporary nature of each piece. Check out her work below or her entire portfolio here. There is also a really interesting interview with her at The Great Discontent. So I've decided to do a short series of blog entries based off of hand-lettering geniuses who have inspired me in a lot of my more recent work. If "Typography is what language looks like," then these designers/illustrators are giving her the amazing personality to go along with the looks. It is the unique voice that hand-lettering gives to typography that I find so attractive. It seems to me to be the perfect balance between design and illustration and the fine art of craftsmanship that is not going anywhere. And so, (begin drumroll) I'd like to start this thing off with a bang by introducing...Erik Marinovich! (Loud applause now). If your looking for the next big thing in social media, you need to look...back? That's right ladies and gentleman, Myspace , once touted as the platform that revolutionized the "about me" webpage, released a sneak peek at their new platform, and I must say I'm really impressed. For all of you who jumped ship to Facebook (which feels really lacking when watching this video) you may be tempted to commit mutiny once again in reverse order. I know I do. Yesterday I went on an adventure into the world of Letterpress printing at the San Francisco Center for the Book, where I gained a deeper appreciation for a dying art and the amount of patience and meticulous attention detail necessary to make a beautiful print. Accompanied by Kyle Marks, we approached the foreign process with a gung-ho attitude, rolled up our sleves and dived right in. As designers we were familar with many of the typographic terms such as "Leading" and "Kerning," and we were totally geeking out at all the different typefaces they had to choose from. Our weapon of choice for the evening was 18pt Bodoni Ultra which was paired with a sans-serif wood type and lino-block triangle pattern that one of the students of the SFCB had already produced. Our assignment was to finish the phrase "You are..." with our own hand-set type. While the other students were being serious and cliche with prhases like "You are...Radiant & Beautiful" Kyle and I had our own interpretaion of the assignment. "You Are the cheese to my macaroni." "You Are the butter to my biscuit." You can view a short little video of I shot here showing the printing process of the lino-block. It was a great experience and if they offered anything like this in the Sacramento area I would defintely be there more often. If your interested in learning about letterpress printing I would recommend visiting SFCB and taking a class. 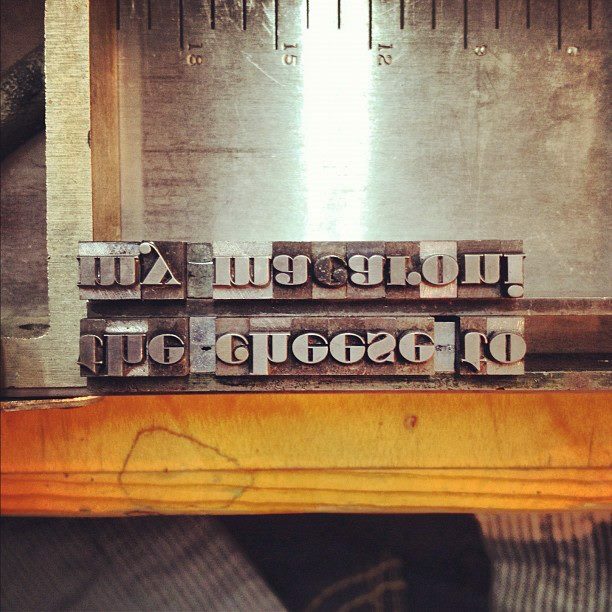 At a mere $40 you can get your feet wet in letterpress printing. They also have opportunities to get certified and even come and do your own thing during open studio hours. Sounds like a good deal to me. Very inspiring work from Dusty Signs. Excellent hand painted typography, Beautiful work Dan, keep it up! Dusty Signs is founded by Dan, a 3rd generation traditional sign painter from Minneapolis Minnesota.